Fall has officially started in southern Missouri. As I write this post, it is a chilly 38 degrees. My house smells of fresh baked goods and the fire is keeping my toes warm. 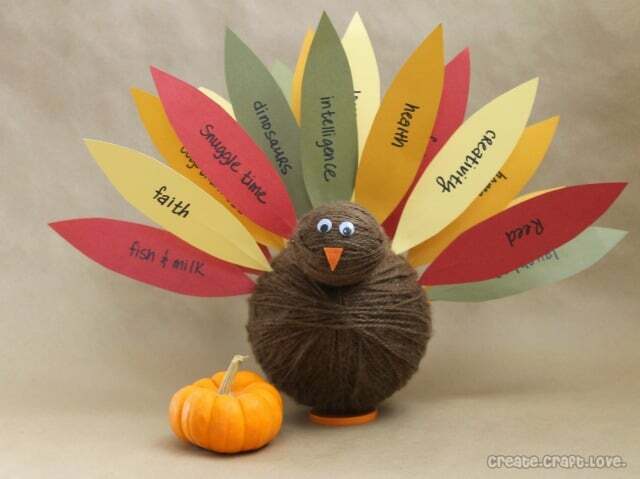 I’m in full Thanksgiving dinner planning mode as I cuddle under my quilt on the couch. 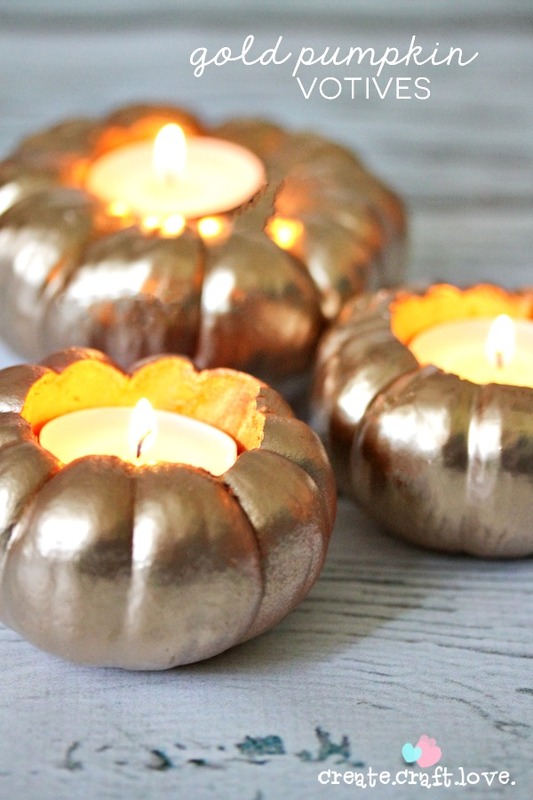 I’ve decided to go with a gold and cream colored theme this year. Simple and classy. 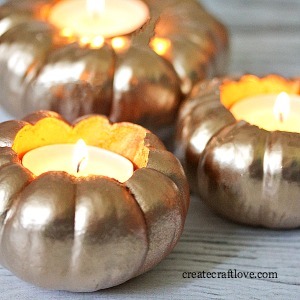 To spruce up the dinner table, I whipped up these Gold Votive Pumpkins. They are so warm and inviting! 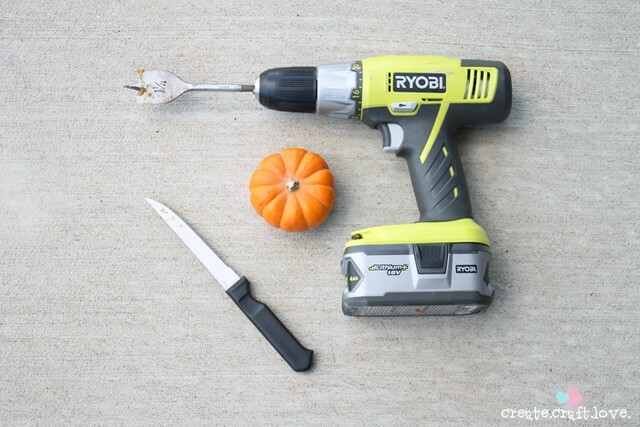 I kind of love any project where I can use my power tools! 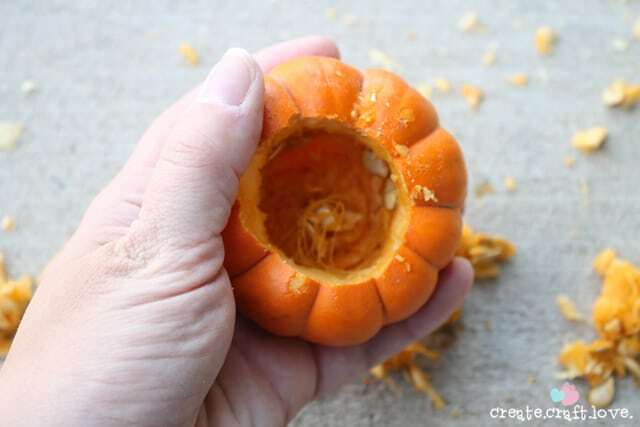 Slowly drill into the center of your pumpkin. 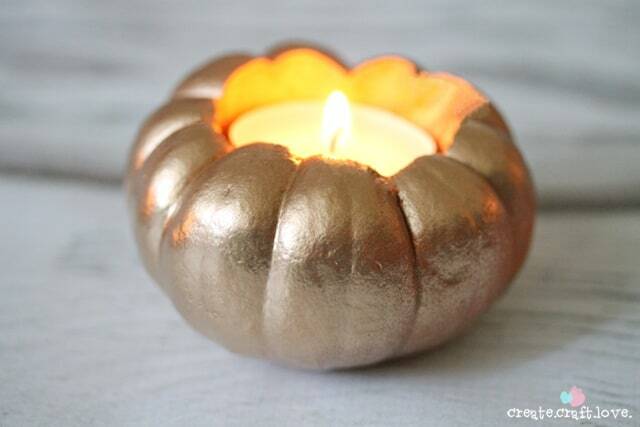 I went with a wood bit that was smaller than the votive because I did not want to crack the pumpkin from the force. 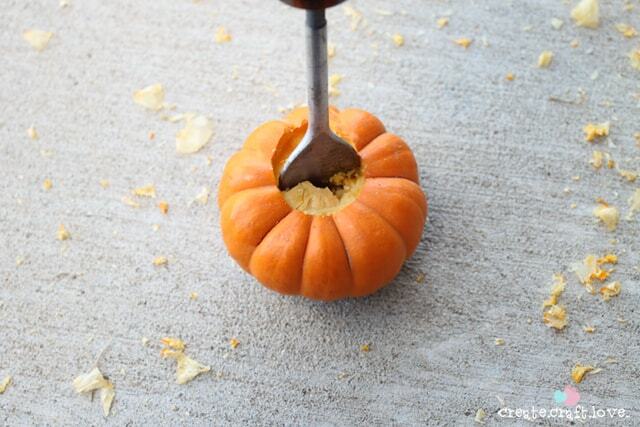 Scoop out the pumpkin innards. Gently trim the edge of the hole with the paring knife. Slowly cut away to make room for the votive. 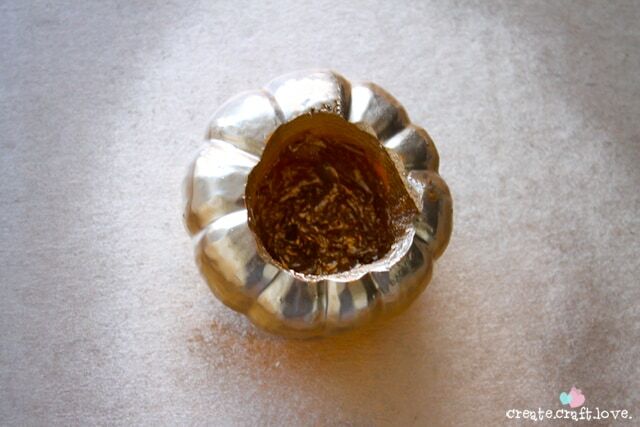 Once the pumpkin has been hulled and the opening is the size of the votive, it’s time to spray paint! Apply a couple of light coats of spray paint to completely cover. 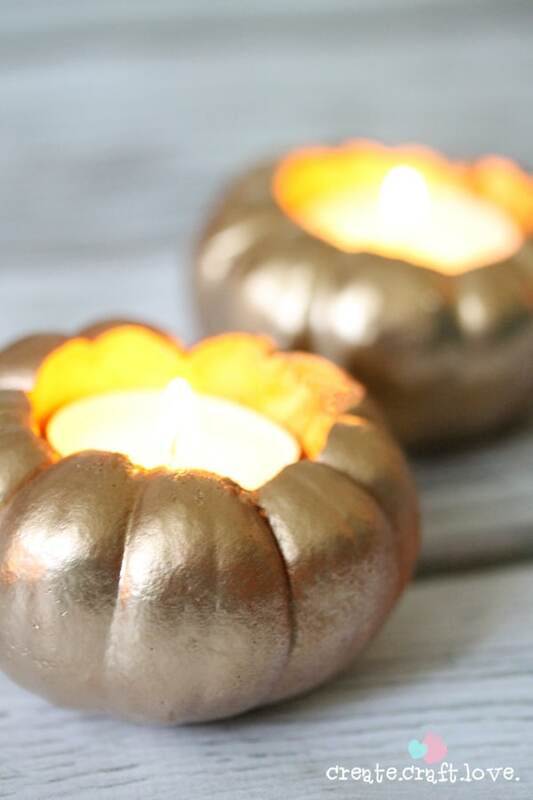 Allow the paint to dry over night before placing the votive in the pumpkin and lighting. 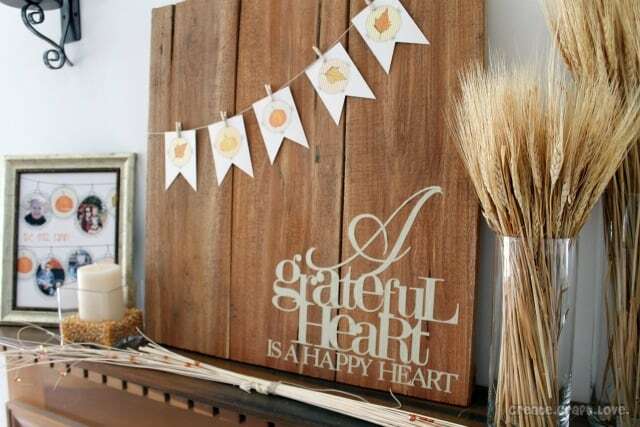 If you’re looking for more Thanksgiving decor ideas, check out these posts at Create.Craft.Love!